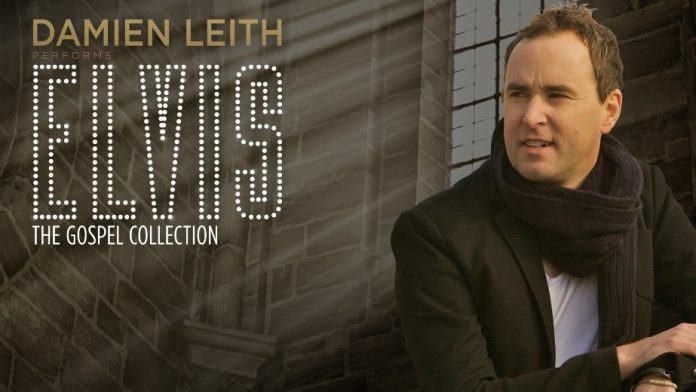 Damien Leith’s latest tour – Elvis: The Gospel Collection – is a vibrant evening of song paying homage to the King’s early gospel career. Many often think of gospel as serious hymns, but the vibrant gospel era of music was different – it was about projecting praise and an overall feeling of elation, not necessarily about religion. It is this joy that Damien found has been resonating with audiences and saw him sell-out the one-off show in Melbourne in 2017. Now, to coincide with the 2018 tour, Damien is also releasing his first album in five years, the aptly titled Gospel, due for release on August 3. A great admirer of the King of rock n roll, Damien has been heavily influenced by the gospel part of Elvis’s career. The Elvis: The Gospel Collection tour will see this accomplished singer-songwriter perform an intimate selection of songs from the Gospel collection such as How Great Thou Art, You Saw Me Crying in the Chapel, Peace in the Valley, Amazing Grace and Glory Glory Hallelujah, among others. In keeping with the tradition of the gospel era and great voices, Damien invited special guests Diana Rouvas, along with Nic Jeffries and Skye Elisabeth to join him for the tour. The dynamics of the four performers together with Damien’s band have already been wowing audiences. Diana Rouvas is an acclaimed vocalist. She was in the final eight of the first series of The Voice in 2012, impressing judges and fans alike for her versatility, both with her renditions of Beyoncé’s Love On Top and the blues standard Stormy Monday. At the tender age of 17, she toured as Tina Arena’s backing singer internationally, which was really no surprise as she had already been honing her craft from a young age, having started serious vocal training when she was just four. Nic Jeffries was part of The Voice in 2016 and has been part of the Sydney music scene for a good decade before that. He released his debut self-titled album in 2011 and has been described as having a voice as ‘smooth as chocolate’. Skye Elisabeth – also known as Skye Jeffries – appeared on The Voice on season two in 2013. Nic and Skye together are often described as ‘The Voice Couple’ and are considered as two of Australia’s finest voices. The relationship between Elvis and Gospel music is a territory often less acknowledged than his connection with rock n roll or pop music. It was a genre that he certainly made his own, after all Elvis’s three Grammy Awards were for his soulful gospel renditions. Rather than simply being a fan of Gospel music and tradition, Elvis was heavily influenced by the movement. He often toured with Gospel groups and selected them as backup singers. The genre was also in his blood — his father’s cousin was one of the principal singers at his childhood church. After more than a decade in the spotlight, Damien Leith has emerged as one of the most well-respected songwriters and performers in the industry today. After winning the 2006 Australian Idol, he has sold platinum albums and picked up numerous awards, including several ARIA Awards and a coveted Golden Guitar. He has also hosted, and co-hosted, multiple television shows, penned two adult novels, and children’ stories. 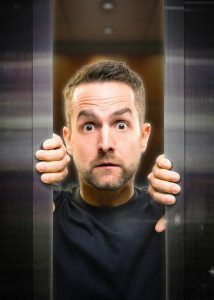 Most recently, added app developer to his list with the release of his first app, Damien Leith Storytime – a collection of children’s stories, originally told to his own children that he is now sharing with the world. Tickets for Damien Leith’s Elvis: The Gospel Collection are on sale now. 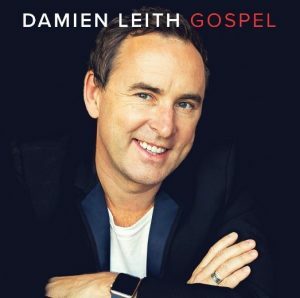 Damien’s new album Gospel is released on Friday 3rd August 2018 via Fanfare Records, Sony Music.